Our first episode for 2016 will hopefully perk you up! Maybe you partied a little too hard on New Year's Eve and you need a little pick me up, or maybe you're just a caffeine addict looking for you're next sugary fix, either way, we've got you covered! 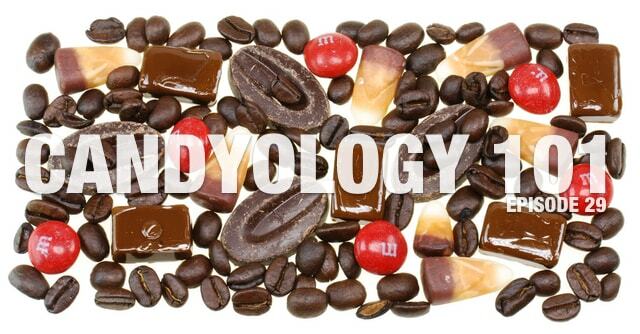 On this episode of Candyology 101, Cybele and I look at coffee flavored sweets from around the world, discuss a few of our favorites, and question America's lack of coffee-flavored goodness in the candy aisle. Then, as alway,s we've got a fun Treat or Trick segment to let you know what new products are headed your way in the months to come. And my favorite idea... Has there ever been a coffee Pocky?? That could be pretty freakin' amazing.